The date is set! We are now booking performers for the slam. 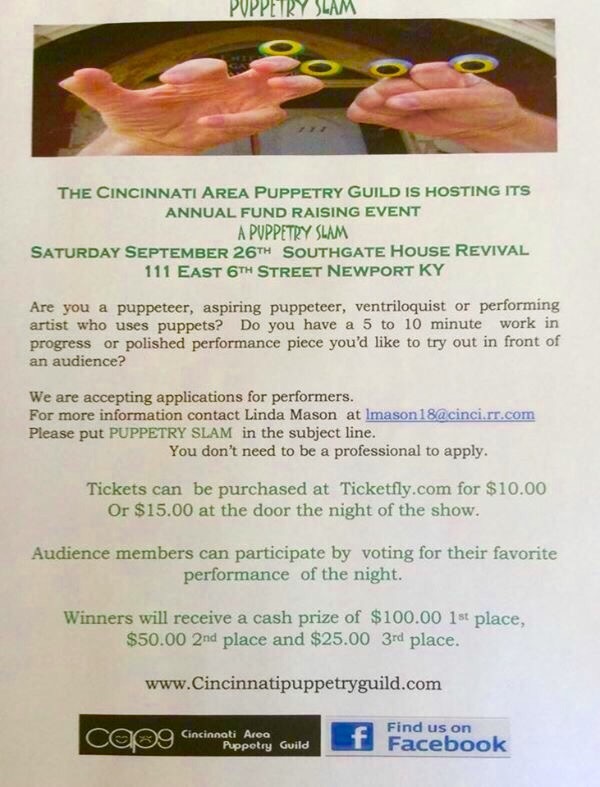 Contact Linda at lmason18@cinci.rr.com if you would like to try out new material, perform a polished peace, or do your first ever performance! Tickets available at ticketfly.com for $10 or $15 at the door. Cash prizes for winners based on audience votes for best performance!